CVT is now available on the Maxxum tractor range - plus the new models come with a number of improvements. ​Case IH has announced its continuously variable transmission (CVT) technology is now available for its highly popular Maxxum tractor line up. 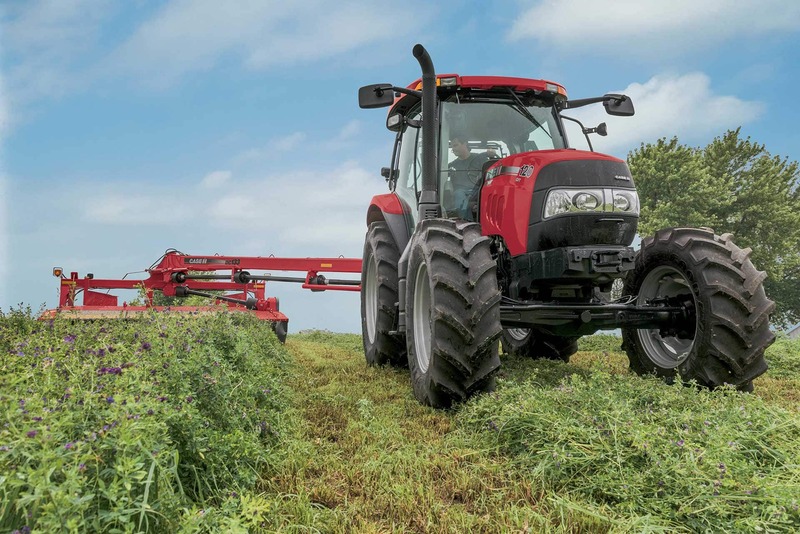 The Maxxum 110, 120 and 130 are all now available as CVT models. First introduced into the Puma family in 2008, Case IH’s CVT simplifies tractor operation while also delivering the best balance of power and fuel efficiency. ​All Maxxum CVT tractors are equipped with standard Power Boost, which provides additional engine power of up to 20 horsepower to maintain working speeds in tough crop conditions or on inclines, and to provide more power for roading or for mobile hydraulics or PTO applications. Other cab enhancements for Maxxum CVT include a newly designed control panel recessed into the headliner, featuring AC controls, relocated into a more natural line of sight when operating the tractor. The headliner also has three additional slots – one for radio and two for additional storage. Operators will also appreciate new left-hand soft trim, a storage net below the instructor seat, elastic straps on the instructor seat’s back rest and a deluxe radio standard with Bluetooth.